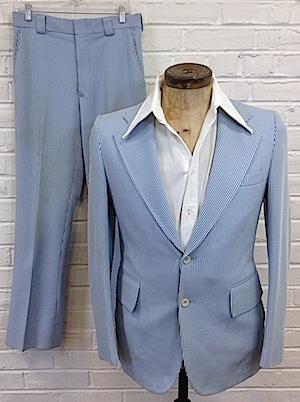 Vintage 1970s mens 2pc leisure suit! 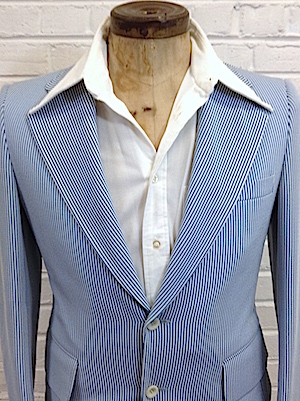 Funky fresh leisure suit in white and bright blue vertical stripes! 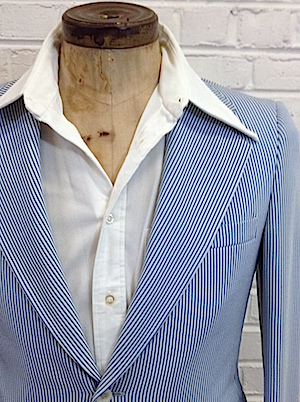 The jacket closes in the front with two marbled off-white buttons with three matching buttons on each cuff. Has an extra wide, disco era collar. 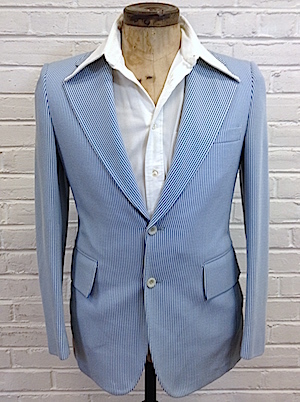 Has one chest pocket with a flap and with two flap closure pockets on the lower portion of the jacket. 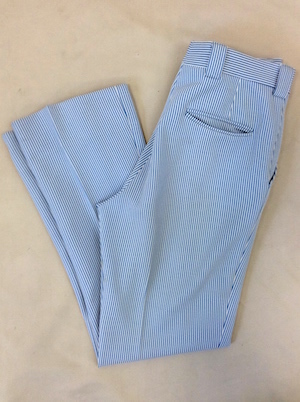 The matching pants close in the front with a hidden tab closure just above the zipper. Has extra wide and extra long belt loops. 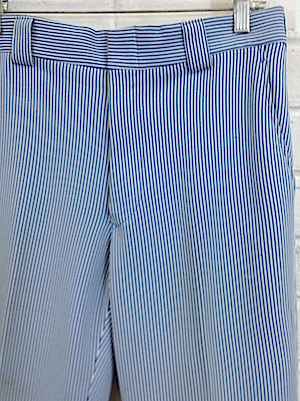 Two classic pockets in the front and two pockets in the back, one with a button closure. No material tag, but feels like 100% polyester. Sleeves: 33" collar to cuff / 27" shoulder seam to cuff. 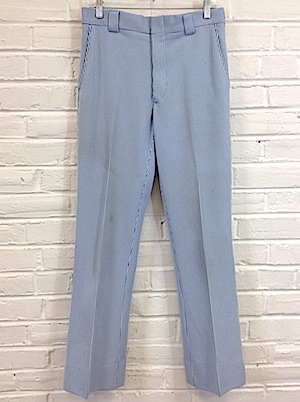 Rise (waist to crotch): 11"